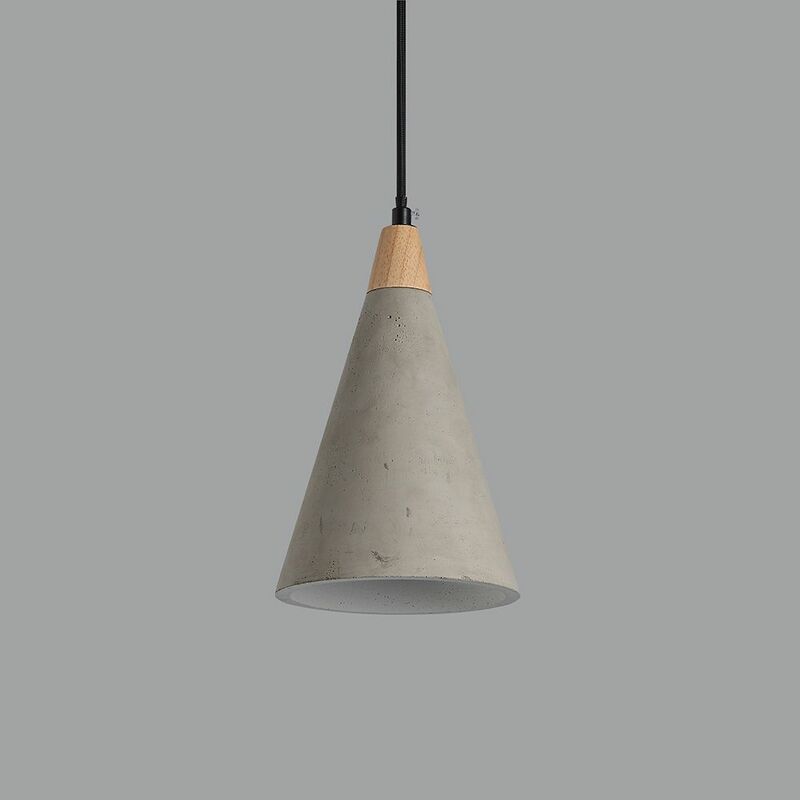 This pendant light has a characterful finish due to the nature of concrete and the way it's poured, making each one unique in finish. 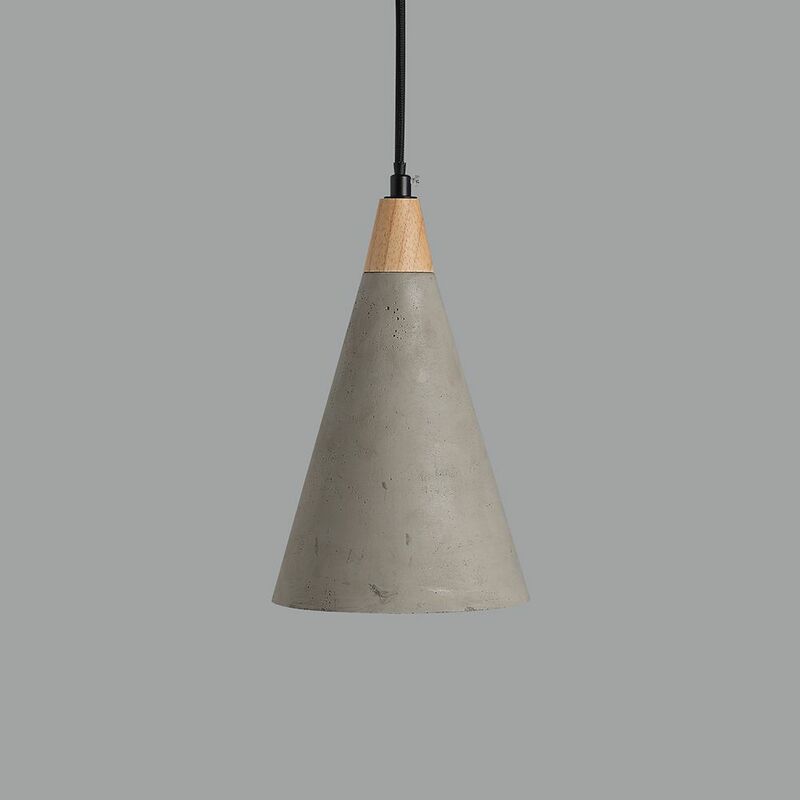 It has a white interior for a nice, crisp light and with its wooden top it looks great lit or unlit. 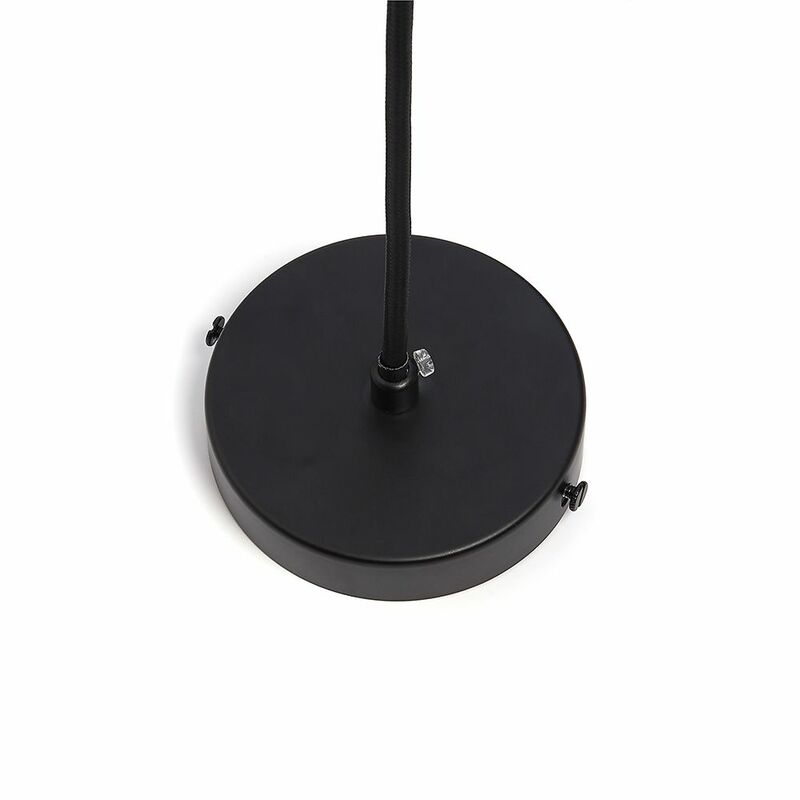 It comes with approximately 90cm of fabric flex that can be shortened to any length and a black metal ceiling rose, as shown. Approx: 25cm high x 15cm dia.